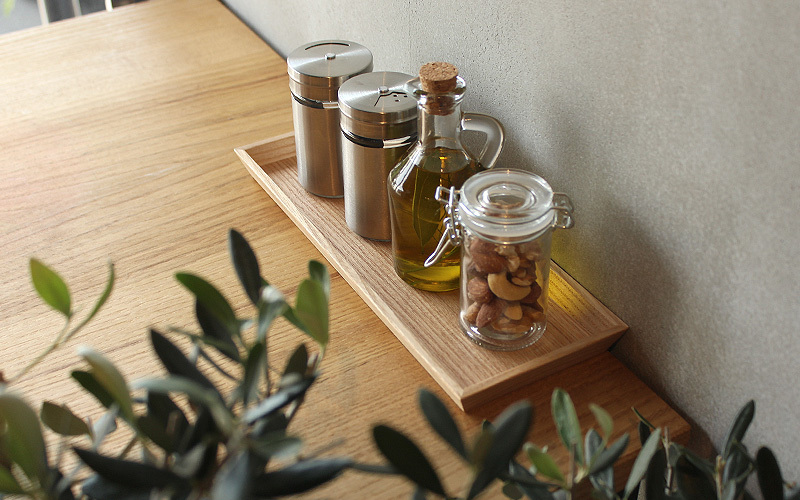 This tray for cruet is available in three different types of wood. 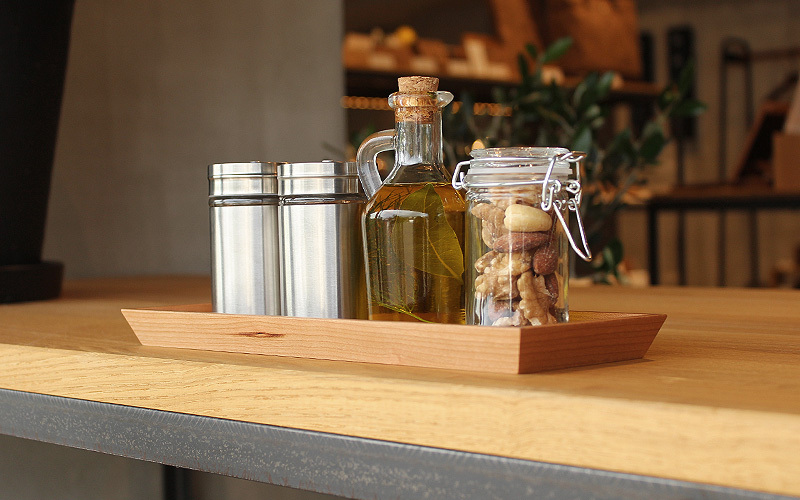 Natural materials of ash, cherry and walnut show their own characteristic colors and the texture becomes richer over time and regular use. 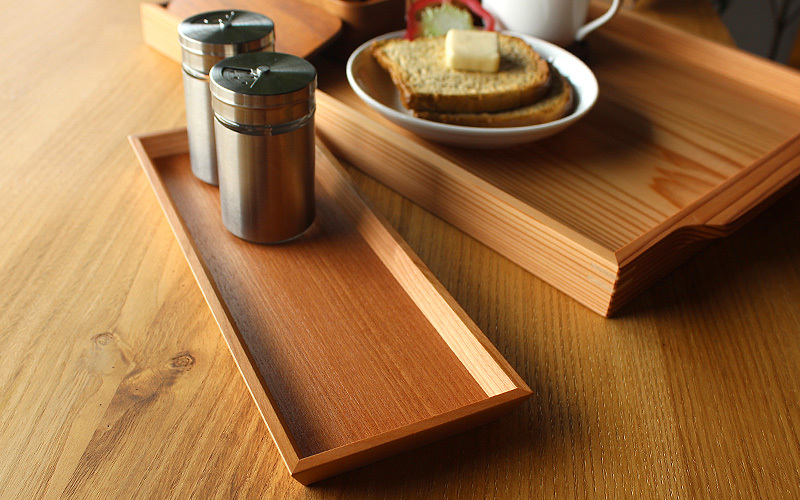 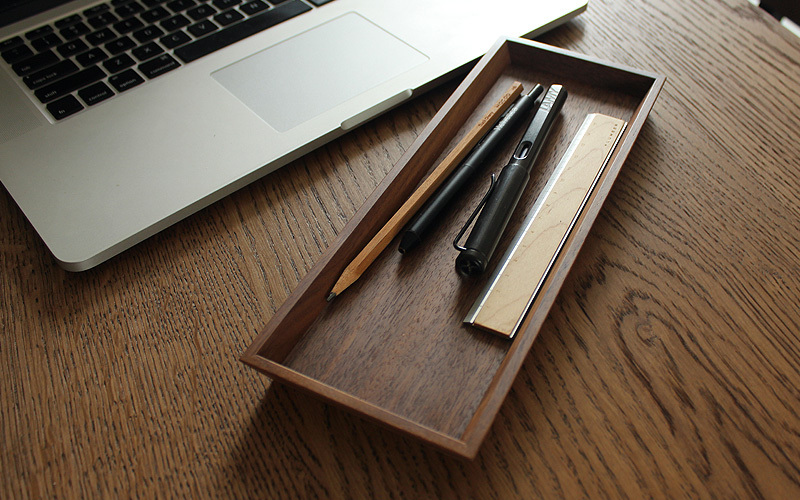 Although it is made ideal for bottles and mills on your kitchen table, it can keep your office utensils organized.